It’s hot around here. My tots would rather play outside all day every single day but sometimes this mama just can’t hang. We usually head out early in the morning. Definitely before 10 but now we may have to get out before 9 maybe even 8. It’s hot! 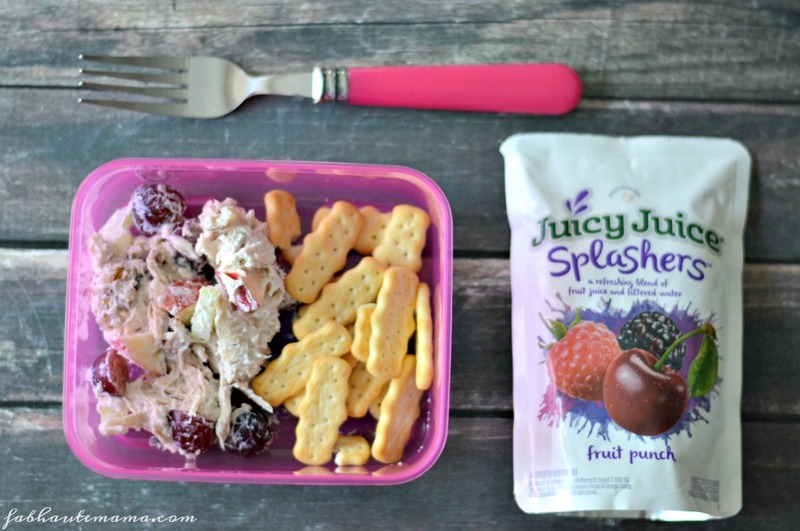 After a morning of outdoor play, we like to cool off with some of our favorite summer fruits. Watermelon is high on the list. 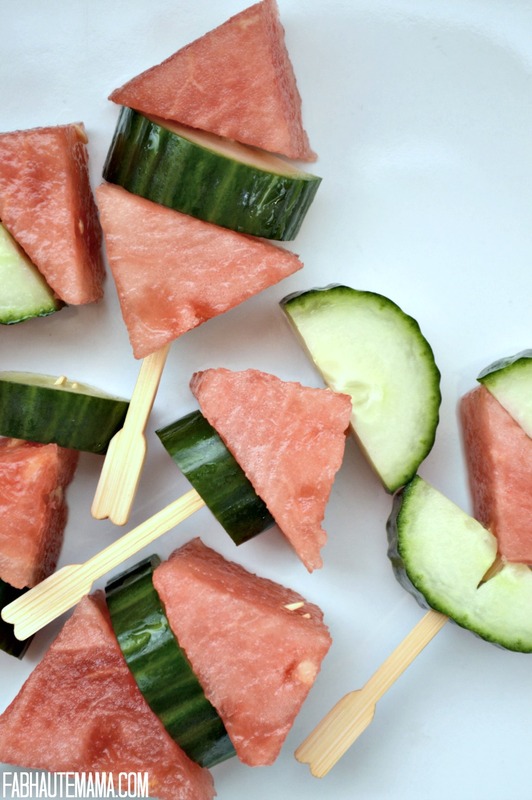 My little picky tot loves it with cucumbers so now I put them on a stick and let her enjoy this “fun” post play snack. 2. Consider fun as in it’s cute, it’s a pretty face, etc. 3. Things that are sweet. 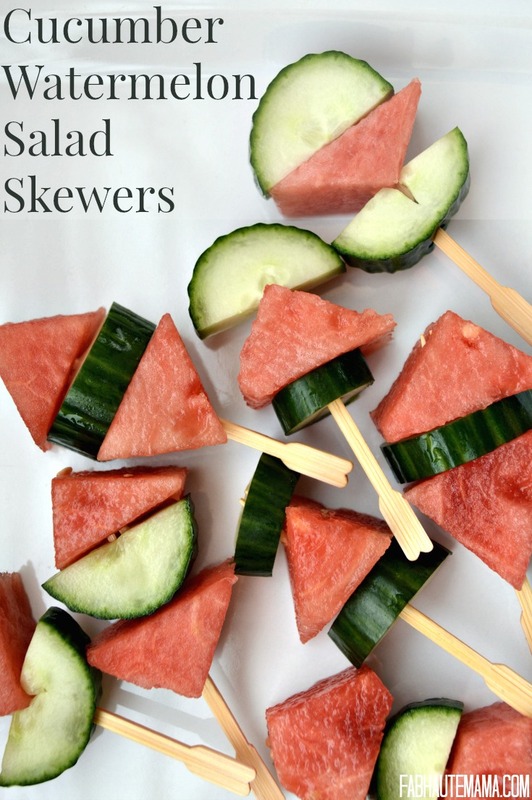 These cucumber watermelon salad skewers check all three of those boxes. I’ll cut up the fruit and then we take turns buildings the skewers. 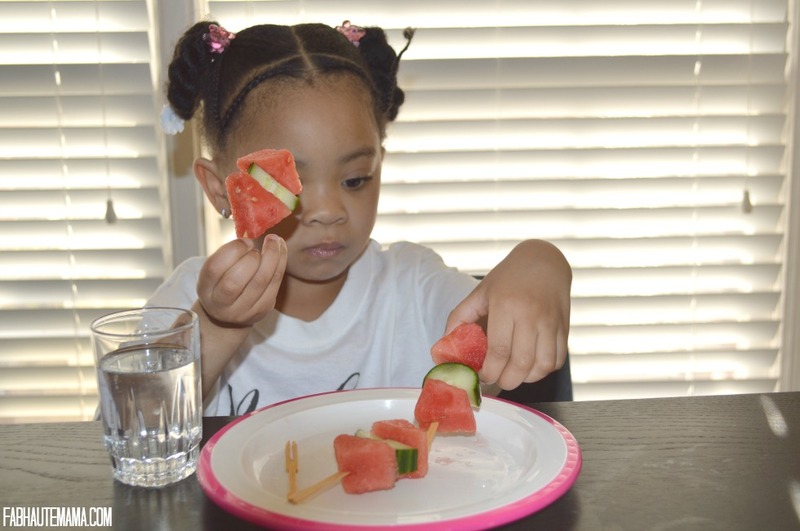 Z loves bowls of cucumber and watermelon but for things she says “NO” to, I switch things up as far as presentation or I throw in a little sweetness (cinnamon does wonders). Next thing you know, her plate is empty. So this is not really what I consider a recipe because it’s just putting some fruit on a stick. 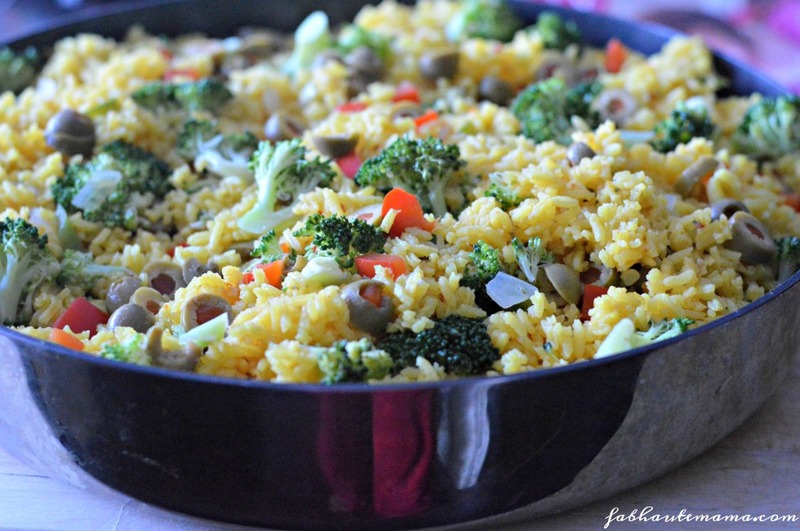 Sometimes I add cheese or blueberries too. Whatever works. 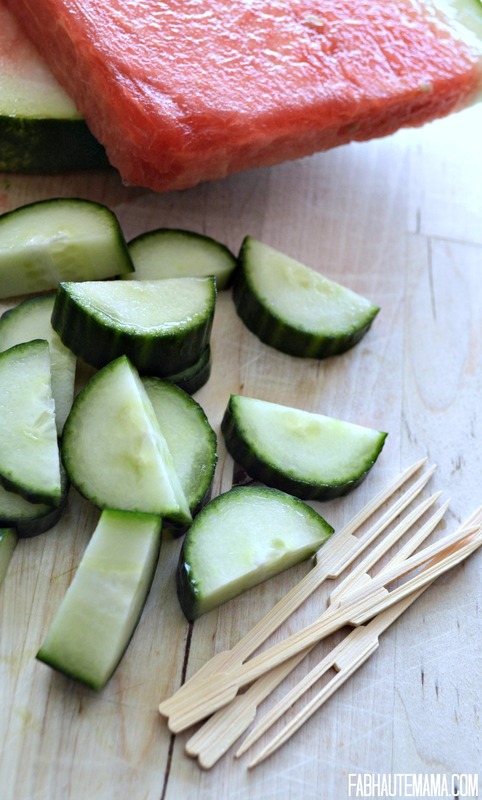 Cut up each slice of cucumber into large cubes triangles or use a cookie cutter for other shapes. Cut cucumber into thick slices then half each of those slices. 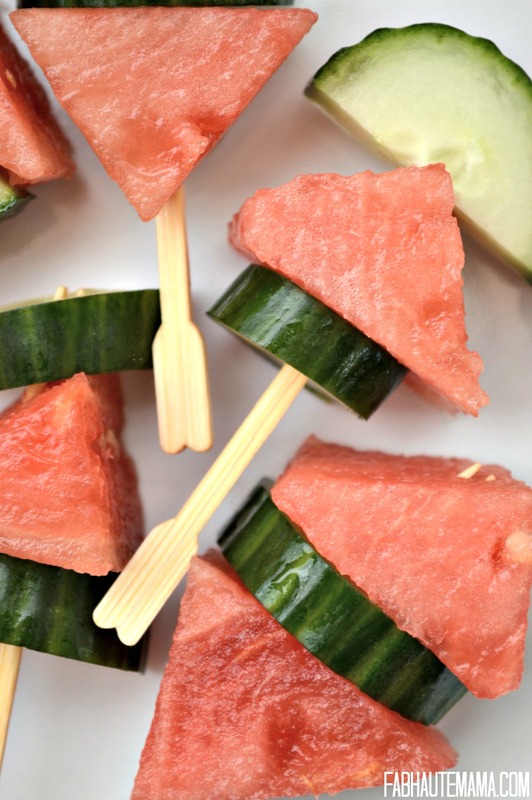 Set up skewers using 3-4 pieces of cucumber and watermelon. 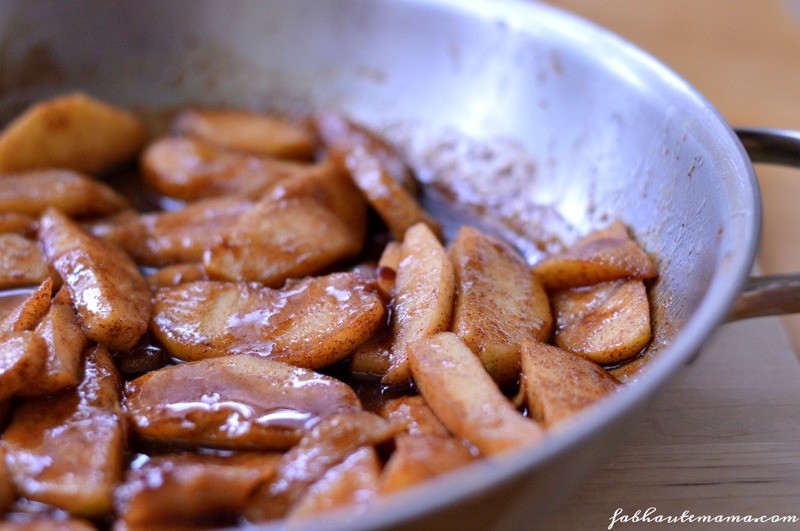 It really is just the simple things that make food that much more interesting for kids. Thanks for this one.